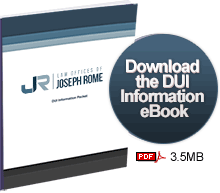 Being stopped for a DUI in the city limits of Issaquah is a confusion situation, however here is some information on what to expect during the DUI process. You will be taken to the Issaquah Police station where you will be asked to submit to a breath test. You may be processed into Issaquah jail and be required to post bail. Your arrangement will be a few weeks later. The arraignment occurs at the Issaquah Municipal Court, 153 East Sunset Way, Issaquah Washington. It is a small courthouse with one courtroom. Once you enter through security, you will have a seat in the courtroom. The prosecuting attorney for the City of Issaquah is Lynn Moberly. Your attorney will check in with her or her associate. You will need to review and sign and advisement of rights for to have submitted to the judge. At your arraignment, you will be informed of the charges against you and advised of your conditions of release. Once you enter you’re not guilty plea, you will receive a paper from the court clerk to bring to the courthouse front window. The clerk and the window will help you pick your pretrial hearing date. Prior to your pretrial hearing, your attorney should have investigated your cases for possible DUI defenses and began negotiating with the prosecutor. At your Issaquah pretrial hearing, the case is usually continued to investigate or negotiate more, resolved with a negotiated plea or other resolution or scheduled for evidentiary motions and trial. The presiding judge in Issaquah is Judge Stewart, and he, or a Pro Tem judge will hear the evidence and your motion hearing. Motion hearings usually involve motions to suppress evidence or a motion to suppress statements. Most motion hearings consist of the city prosecutor utilizing the arresting police officer as their witness. Your attorney will have the opportunity to cross-examine the witness and present evidence. Issaquah Municipal Court services the Cities of Issaquah, North Bend and Snoqualmie. If arrested in any of these city limits, your trial will be in Issaquah and judge by six members of that community from which the event occurred. The city prosecutor and the attorney will be allowed to voir dire the jury and an opening statement. The city then will present their case in chief, and the defense attorney can cross-examine the witnesses. Once the city rests their case, your DUI defense attorney will be able to present your witnesses and evidence, and the city will cross-examine those witnesses. Once, the defense rests the judge will instruct the jury how to decide if the city has proven its case beyond a reasonable doubt. Then the parties will make a closing argument, and the jury will render a verdict.